What should you think about when choosing an animation agency? You’ve only got to type in animation agency into Google before you get bombarded with pages of options. Here’s why we think you should use Vebu. It’s important that you engage your audience. Let’s give this story a bit of emotion whilst weaving your own company story into the picture. We’ve also been producing motion graphics videos for a wide variety of businesses. Whether it’s pharmaceuticals, Fintech, education or banking, we’ve had a go at telling their tale. We understand how to take our clients through the production process so they feel comfortable with us and how we are telling their story. We have a well-developed video production process. Before we put pen to paper and write a script, it’s important we get to know our clients business, their product or service, what key messages they are trying to get across and who their target audience is. We create a Message House of opinions, but for a short 90-second explainer video or promotional film there has to be one over-riding theme. What one sentiment do you want to leave your customers with having watched this video production? It’s this one key message that will guide the copywriter through the process of writing the script. Once the script is signed off we can produce a storyboard. It’s important that at every stage of the video production process is signed off. Each stage becomes progressively more expensive to complete so you want to avoid making changes to the script at a later stage, especially during the production stage, because it becomes comparatively more expensive to make these changes at a late stage of the video production process. The storyboard is a simple visual representation of how key scenes look in relation to the script. During the script writing process we will start showing you some visual ideas taken from key areas of the script. This gives you the chance to get involved and provide some feedback. As a client looking at a storyboard you should feel confident that we have thoroughly explained how this animation will look and feel when we present the final edit to you. During the storyboard stage we will also discuss the sound design, music bed and voice-over artist. It’s also important for us that our customers are completely happy with what they are seeing because invariably we are working to a fixed cost. If the client makes changes having seen the edit then successive rounds of changes eat into our profits. Once the storyboard is complete we start the build itself. 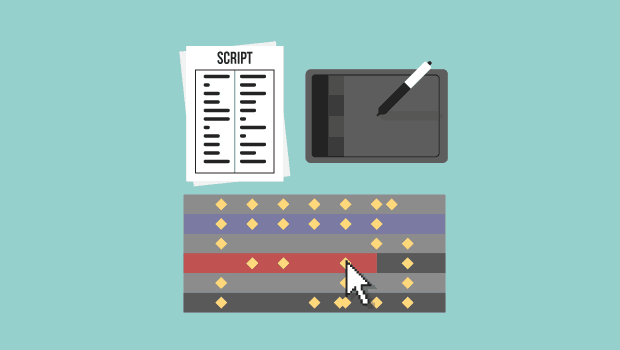 The motion graphics designer will use the assets they have created from the storyboard. The most popular professional standard motion graphics software is After Effects created by Adobe. It’s within this bit of software that the motion graphics designer brings the story to life. We will record the voice-over artist in a professional voice-over studio or many voice-over artists have their own studios at home – a small booth in a side room usually. It’s amazing how many times I’ve seen a perfectly decent animation ruined because a company hasn’t used a professional voice-over artist. Why spend £5,000 and then scrimp on paying a professional £400 to voice it up for you? Madness. Sound design in the animation process is not to be underestimated. This isn’t the music bed but lovely sound effects as text or icons animate on to the screen. 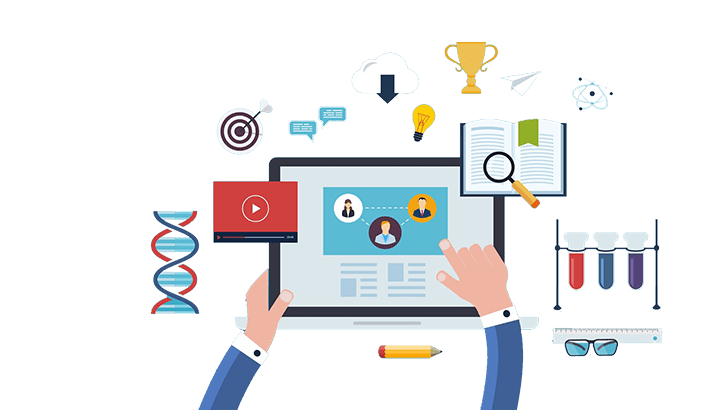 It’s important that you get your animation company to deliver your promotional video in various formats. It’s also common practice for you to have an uncompressed version of the edit. By this I mean, a very large file that hasn’t been encoded. This means that in the future, whenever you want to encode this animation yourselves, you always have the best possible resolution to do this from. Vebu always archives all of its jobs so for us to provide this service to our clients in the future is not a problem. You need to make sure your 3D animation studio is also doing this as well. You have a promotional video, but who’s going to see it? A significant chunk of the budget you have set aside for video production should be for marketing the video. How are you going to get this great content in front of the right people? Getting the right people to watch your video content requires a long-term marketing plan. Just sticking it up on YouTube and hoping for the best isn’t going to work. Even correctly tagging, subtitling and correctly labeling video content has a limited effect. There is another way, and it’s very effective. More of that in a moment. Companies that claim that they can promote your video to thousands of potential clients around the world, unless one of the above has happened, are talking nonsense. They will claim many people have watched it because they’ve posted your content to untrustworthy sites that may or may have not been seen by a robot whilst your content gets played against some completely inappropriate content. Here’s what we do. It takes time. Start small. Over a period of time build up a marketing list of appropriate people to promote your content to. Rather than hope for millions hope for hundreds, but hundreds of the right people. Build your database up monthly. Post-beneficial content that your clients will genuinely find interesting. This maybe written content in blog posts that compliments your video content. Slowly but surely you will grow a loyal base of customers, who at some point when looking for your service, will turn to you. Your video marketing strategy has to sit within your overall marketing strategy. 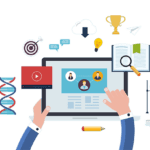 Think about content that will benefit your customers, align it with your overall marketing strategy and you will start producing video content that has a discernable effect on sales. Big disclaimer – this isn’t a client of ours but we love what they are doing. This is a great example of video content – which we didn’t produce (!) that is part of a video marketing strategy. Focusrite are a very successful UK company that makes pre-amps for the music industry. They are developed a great following with up and coming young artists. One of the ways they have developed this following is filming many different artists with an array of stories using Focusrite equipment. The video content is very engaging. It shows the equipment being used. There’s no stronger compliment than a customer you respect saying great things about your business.